An editorial posted by the Publishers Association today takes issue with a recent paper by Jisc, SCONUL, RLUK and ARMA: Academic journal markets, their limitation, and the consequences for a transition to Open Access: a thought piece. We feel it is important to address the number of criticisms leveled at hybrid journals particularly as available evidence and data point to hybrid journals playing a valuable and important role delivering the open access ambitions of the UK Government and the research community, ensuring high quality research outputs in theUK, and crucially providing choice to researchers. Access: “Both globally and in the UK, hybrid journals are a popular route to open access.” For example, for some publishers, 95 percent of RCUK-funded authors that chose to publish on a gold open access basis chose to do so in a hybrid journal, according to a 2015 open access monitoring report by the Universities UK. Sustainability: “…a world in which hybrid journals did not exist would not be a sustainable way forward: the UK would be pursuing an unsustainable open access policy which would affect authors’ freedom to publish in the best journals and which would in turn either reduce compliance with UK policy (thus stymying the success of open access in the UK) or inadvertently threaten the quality of UK research. The editorial goes on to address the idea of “providing a balanced market,” saying the option of hybrid journals is resulting in “more competition between a growing number of publishers.” And it counters claims that hybrid journals result in higher prices and “double dipping” by publishers. As Policy Director at Elsevier, Gemma Hersh (@gemmahersh) is responsible for developing and refreshing policies in areas related to open access, open data, text mining and others. Gemma also travels around the world to meet with government, institutions, funders and others to build, strengthen and maintain relationships and to discuss areas of mutual interest. In the UK Gemma sits as publisher representative on the Universities UK (UUK) Open Access Monitoring Group. 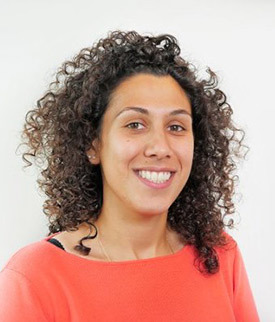 Before joining Elsevier, Gemma was was Head of Public Affairs for the UK Publishers Association and has worked in the creative industries both in government and in industry for the last seven years. She holds an MPhil in Politics and Comparative Government from Oxford University, but her real love is History, in which she holds a First Class Degree from Kings College, London.